Diabetes results in a wide range of serious medical complications with significant implications both for the affected individual and their society. Globally three quarters of diabetes is now in low and middle-income countries who lack the infrastructure to manage the scale of the emerging problem. 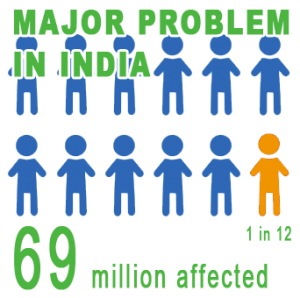 Diabetes is a major problem in India with 1 in 12 people affected amounting to 69 million individuals currently (more than the entire UK population). With increasing economic development, the numbers are rapidly increasing. The project is a 4-year partnership between two institutions, the University of Dundee’s Global Health Research Unit and Madras Diabetes Research Foundation, who between them command access to two of the most advanced diabetes management systems in the world. The partnership is focused on using this extensive infrastructure to deliver precision medicine to improve outcomes in patients with diabetes in India.